Warm on the stove and then whiz up in your blender to make it all frothy. Enjoy! 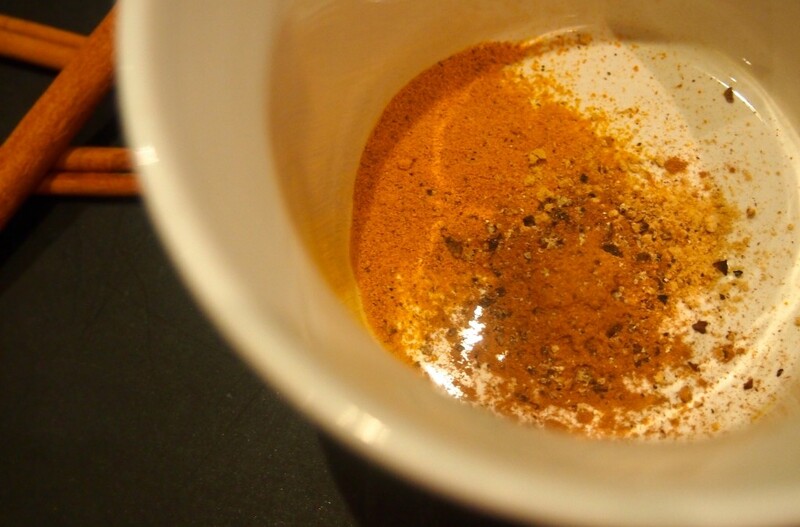 I like to keep a tiny whisk or spoon in the beverage as I drink it so I can stir it constantly, otherwise the spices settle on the bottom and you get a big mouthful of spice at the end. You might be wondering about the pepper. Black pepper is important to always take alongside your turmeric because it significantly increases the bioavailability of the specific nutrient in turmeric – curcumin – that we want more of for its healing properties. Be sure to use Ceylon cinnamon, especially if you’re having this daily. Most cinnamon you find in the stores is Cassia cinnamon, which contains a potent liver toxin. Make sure the label actually says “Ceylon Cinnamon”.